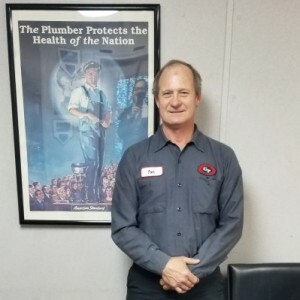 11/2018 Jared, like every Gotelli serviceman that has come over, was very professional and pleasant to work with. He quickly addressed today’s issue and was in and out within the allotted hour. 2017 Apparently our pressure release valve had failed and was causing our water pipes to shake violently every time we turned on the water. Tom from Gotelli Pluming, quickly diagnosed the problem and did a pro job in repairing. He also called out some other issues that he had spotted. Rather than trying to sell more work, he cautioned us to keep an eye on the issues. 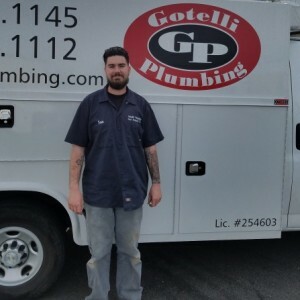 I really appreciate his honesty and helpfulness and I'd recommend Gotelli Plumbing again. Jared was on time, professional and courteous. He fixed my problem in very short time. I will definitely call them in the future for any plumbing needs! Jared was excellent as always. We have had him help us in the past, very friendly, courteous and professional. He is the reason why I continue to call Gotelli Plumbing for my plumbing needs. Jared if Gotelli Plumbing did an excellent job cleaning out my sewer. He was presentable, polite, and informative. Nice guy born and raised in Marin. Very professional courteous and knowledgeable. Excellent people skill. He knows his job and good problem solving skills. Also arrived on time as scheduled. Quick response and work professionally completed. Excellent knowledge. Efficient service. Good to work with. five star.